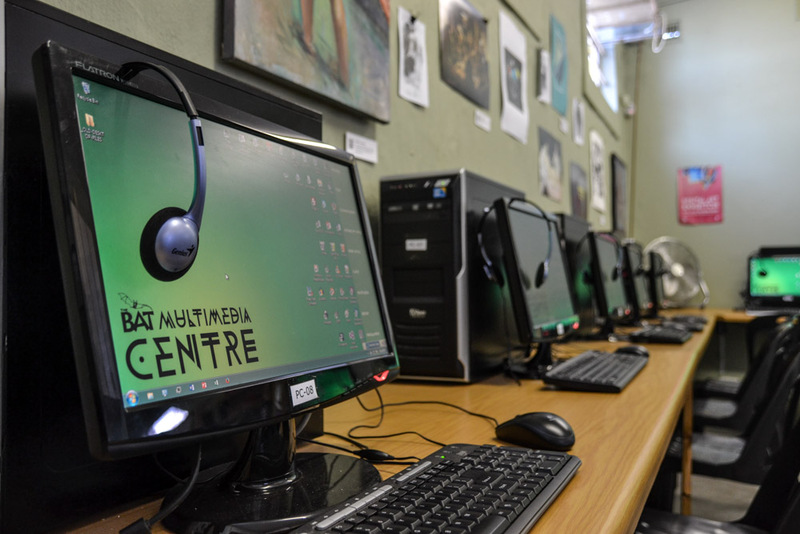 The MMC offers computer courses for the BAT Centre staff and courses on media literacy will be integrated in the AIR student’s curriculum. The MMC is hosting several two month courses to the broader public on topics relevant to the attendees, such as Computer Basics, Social Media usage or Graphic Design. The MMC works as an Internet Café where everybody can use the computers and the equipment for individual learning, creating and communicating.